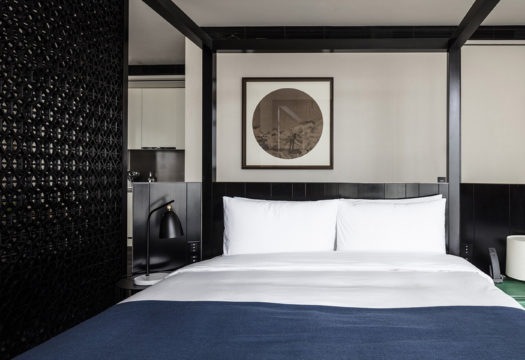 The Middle House is the first hotel designed by Piero Lissoni in Shanghai and the first done by an Italian architect for the Swire Hotels group, in its House Collection, which already includes three other facilities in Asia (Beijing, Hong Kong and Chengdu). 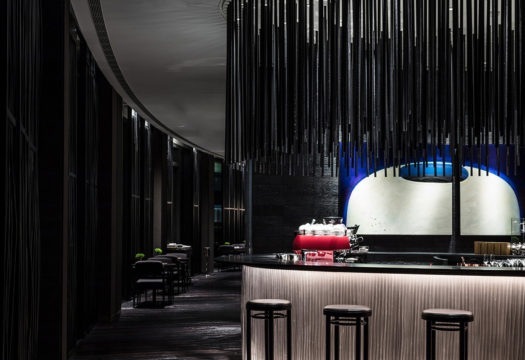 Two towers contain 111 rooms and 102 residences, communal spaces, restaurants, swimming pools and a spa, as well as other amenities, in the Jing’an district, in the immediate vicinity of Nanjing Road, the city’s high-end fashion shopping drag. 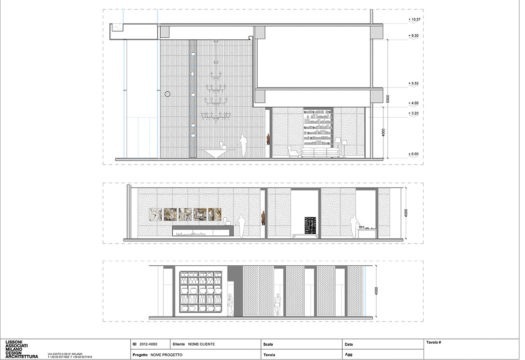 An Italian project that demonstrates that nothing is impossible, because the results can be very interesting in spite of the limitations imposed by working with clients that are far away in terms of time zones, culture and expectations. Everything has been locally custom-made, after extensive research to find the producers of fine craftsmanship, including age-old endangered techniques. “I must admit that the Chinese architects and engineers, and above all the masons, carpenters and ceramists, are enthusiastic and generous,” Piero Lissoni says. “For example, in Shanghai we produced the large glazed ceramic tiles with figurative motifs of bamboo, or the ones decorated with references to antique grilles, and the perforated wood patterns – all key elements of the design – in a special chromatic range of almost black saturated grays, eggplant green, blue. It is like my snapshot of the atmospheres of the city. Without succumbing to the classic red, which if used in a convention way could have seemed anachronistic. I chose to imagine a connection between Europe and China, keeping in mind that Shanghai has historically been the gateway of the West towards the East. Already in the 1800s the city had about 20 districts inhabited by European communities, the largest number of synagogues, an impressive stratification of customs and cultures. My voyage began from this point, about six years ago. I have not attempted to bring Italian style to Shanghai at all costs. The severe artifact created by Lissoni certainly could not seem out of tune on a perceptive level. So the first step was to adapt and control the amoeba-like forms of the two towers on a compositional level – preset in terms of volume, with respect to the landscape of the mall that hosts them, by the local architects Wong and Ouyang – in a coherent way, interacting with the development of the interior design, which called for the opening up of two-story spaces and the creation of large glazings and canopies. 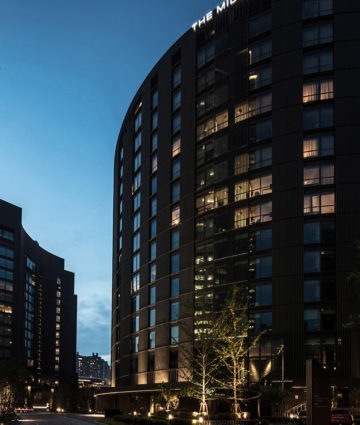 The curtain wall approved by the client has been enhanced by a different approach to the outer cladding of the facades, bringing a three-dimensional aspect to the surfaces, guaranteeing privacy for the windows and adding character to the towers that is immediately recognizable with respect to the surrounding context. The idea of applying a uniform cladding to all the external surfaces, formed by extruded aluminium cylinders in a dark brown-gray color, a series of rods placed side by side as if they were bamboo canes, also passing in front of the glazing, turned out to function well in the definition of screens that constantly modulate the light, while permitting those inside to perceive what is happening outside. This precise linguistic measure has been used inside the buildings to cover the walls of collective spaces and accessways with balanced punctuation and less abstract textures, making impressions and perspectives more dynamic. 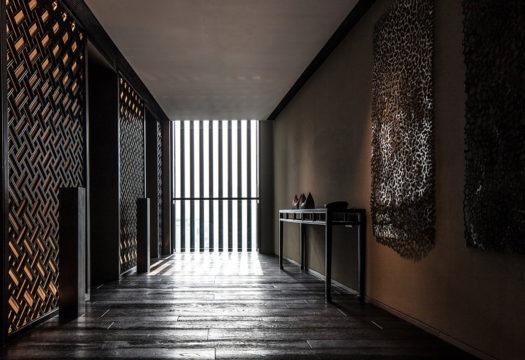 This aesthetic of shadow inspired by Chinese residential culture has then been grafted in terms of the organization of spaces, in the inimitable style of Lissoni based on rigor and refinement of the layout, an open, fluid design with extreme attention to detail and craftsmanship. All the rooms, large or small, have a perimeter that is immediately perceptible as unity inside their functional subdivisions, facing a bathroom bordered by semitransparent surfaces so as not to interrupt the flow of light. The added value comes from the special customized features. 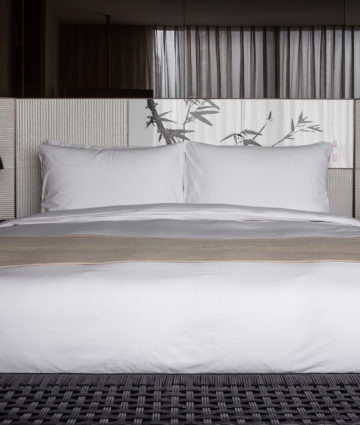 Like the headboard of the bed in painted ceramic, or the chairs that convey other contaminations of taste and references, above all when they are combined with Chinese antiques or works commissioned by Swire to young local artists. The sculptural staircase connecting the levels, in its overall orchestration, becomes an intriguing architectural folie of great theatrical impact, with its polished dark gray finish that forms a contrast with the bricks of the spatial enclosure, laid according to a traditional local technique, making them seem to embody the patina of time in their forceful natural essence. In the undertone of dialogue with the elements of nature water had to play a leading role, also due to its precise meaning of welcome in Chinese culture. 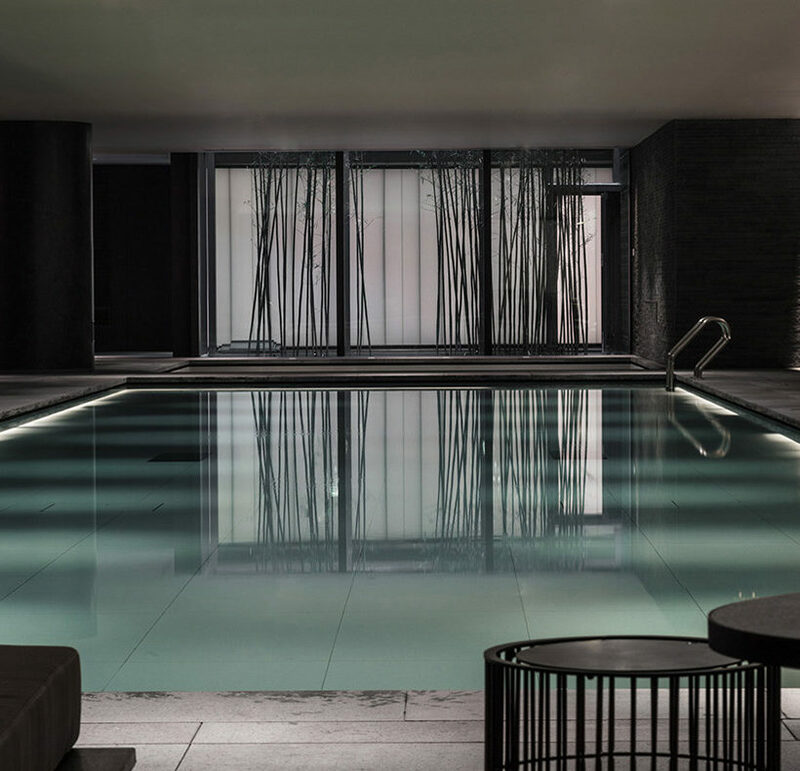 This can be seen in the design of the infinity pool and the wellness areas in the 3000 square meters of the spa on the semi-basement level: the meeting point between the two towers of the Middle House, for travelers from all over the world. 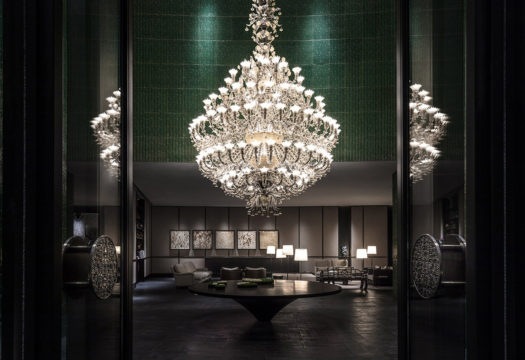 The entrance lobby is a two-story space featuring the dark green tone of facings in glazed ceramic, produced locally based on a design by Lissoni Architettura. It is dominated by the presence of a gigantic Murano glass chandelier made by Venetian craftsman who visited Shanghai for the occasion. In the background, a series of works commissioned by Swire to young Chinese artists. The pattern of the louvers in high-tech brown-gray aluminium sets the tone of the facades. 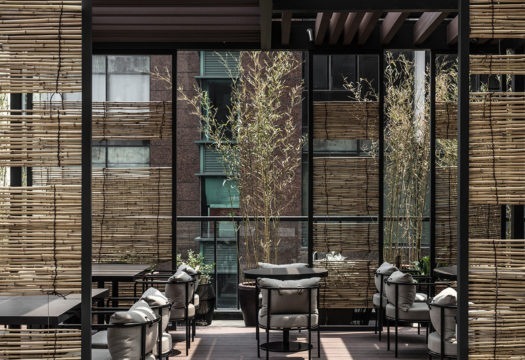 The pattern of the louvers in high-tech brown-gray aluminium sets the tone of the facades, matching the composition of bamboo canes seen in the interiors. 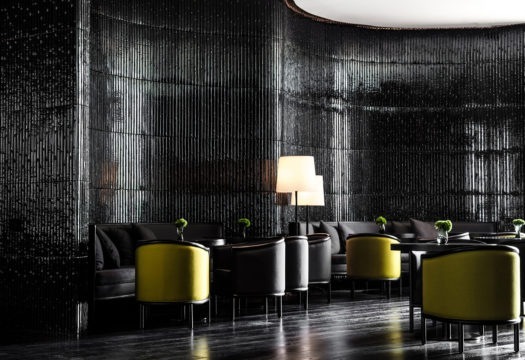 All the custom furnishings designed by Lissoni Architettura have been made in China. The pattern of the louvers in high-tech brown-gray aluminium sets the tone of the facades, matching the large ceramic tiles glazed in tones of blue and black to clad the walls. 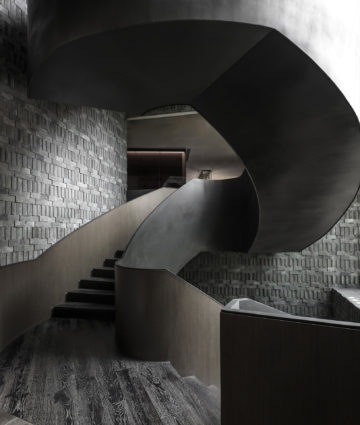 The dramatic internal staircase is a custom feature designed by Lissoni Architettura. Its polished dark gray finish forms a contrast with the rugged effect of the spatial enclosure, made with exposed brick laid by using traditional local techniques. A circulation space leading to the rooms, enhanced by perforated wooden grilles that add dynamism to perceptions and perspectives. Detail of the headboard of a bed in custom painted ceramic. View of a bathroom bordered by semi-transparent materials so as not to interrupt the flow of light. 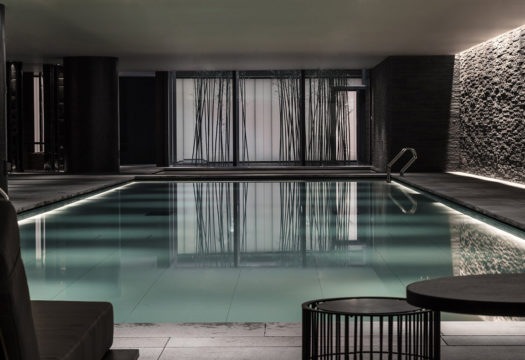 View of the pool inside the spa located in the semi-basement. 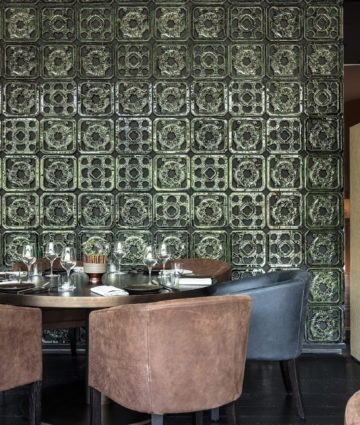 A restaurant dining room where the motif of antique Chinese ceramic grilles, reinterpreted by Lissoni Architettura, returns in the facings of the walls. Custom furnishings designed by Lissoni Architettura and made in China. 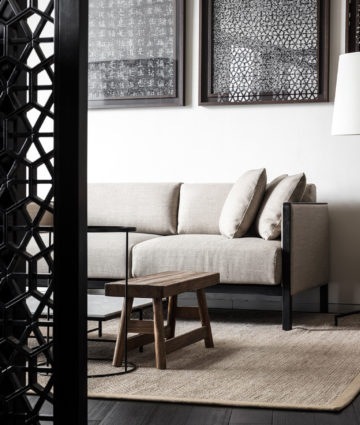 A suite based on local implementation of Lissoni’s design, from the wooden screens that create balanced effects of shadow in the space, to the furnishings that mix local crafts with a contemporary image. A suite based on local implementation of Lissoni’s design.